As of 2011-03-29, a Belorussian translation of this page is available! You've probably heard of sloccount, which was, among other uses, the tool to determine the size of a complete GNU/Linux distribution. 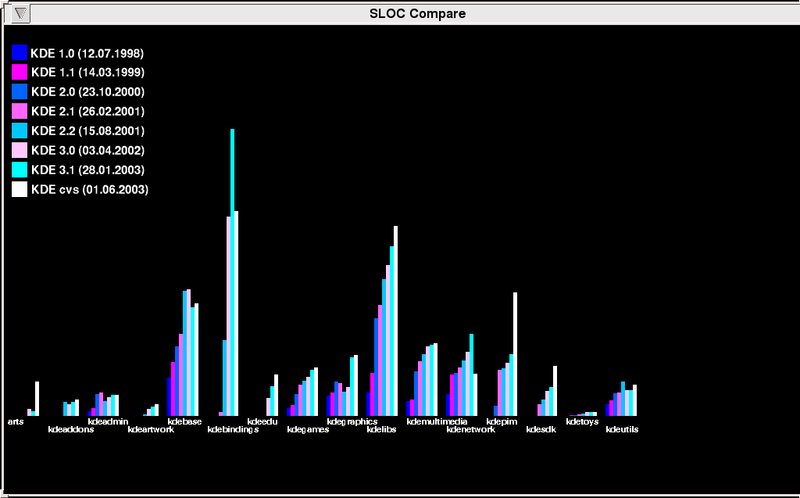 Now that you've generated tons of SLOC counts, what to do with them? One way is to visualize the output. I wrote a python script (needs pygame for SDL graphics) which does exactly that. After this, I still needed the gimp to add the version descriptions and get the screenshot. Checkout the raw KDE material here.